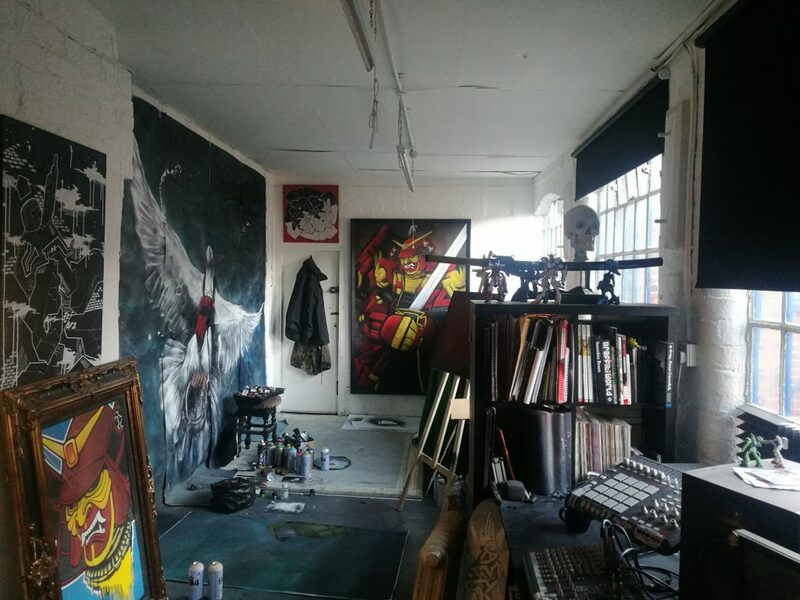 I'm Void One, a Guerilla Artist and Graffiti Writer based in Birmingham, UK, specialising in 3d Mech style graphic design, Gundam characters, custom T-shirts, and large scale poster campaigns. Join me for direct access to my studio, Vblogs of my workflow, tips and tricks, one to one access for Q & A's and tutoring, plus exclusive content reveals only available via this platform. I've set up this page to help finance materials for my guerilla campaigns, to bring my unique brand of irreverent caricatures and satirical social commentary to cities up and down the country. That's not all though, I want you to get involved. It's time to take this to the next level, having more time to devote to what I do best, paint things, and cause trouble, which in turn means more content for you! It's now purely a matter of percentages. The more backers I have, the more work goes up. Let's be clear, this is happening regardless, it's now just a matter of scale. I've already had an amazing response to my previous campaigns, but for the messages I'm trying to communicate to really have any impact, they need a national platform and a full time commitment. As my patron at any tier, you'll also receive discounts on all items in my web store over at www.voidone.uk from original work, to prints, stickers, T-shirts, Hoods and more. Opportunities to win prizes will also be made available from time to time as a thank you for your continued support. Follow my work in the studio and on the streets, with exclusive Vlogs & images documenting my process, featuring a behind the scenes look at some of the concepts I've developed and the means by which they're executed. With this tier you gain a designated monthly one hour video conference for feedback, tutoring and Q & A sessions. I can help with anything from helping you get a head start with your can control, to in depth Photoshop tutorials. As a patreon at this tier, you'll also receive all the benefits of tier 1 subscription.